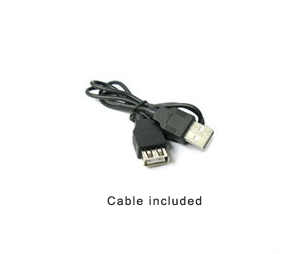 This mini USB to serial RS232 adapter is a low-cost solution which can be used with many older operating systems such as Windows 95, 98, 2000, XP and older versions of Linux. For newer operating systems such as Windows Vista and 7 and newer distributions of Linux and Mac we highly recommend our high performance adapters. The reason we recommend this adapter for only older systems and simple applications is that it is made with a low-cost chipset (Prolific PL2303) which often performs too unreliable (or not at all) on newer operating systems and more complex applications. Once the virtual COM drivers are installed (downloadable from our website) the adapter is “Plug-n-Play”, simply connect it to your USB port and it will automatically create a virtual COM port in your Device Manager. It requires no IRQ, DMA, or I/O port resources which mean that more devices can be attached to your system without any problems with device and resource conflicts. It will work with many older models of GPS and PDA devices (Palm, Mallagan and Garmin), printers, cameras and scanners. Recommended operating system Windows 95, 98, 2000 and older versions of Linux. 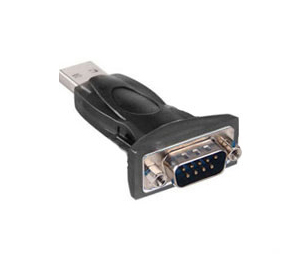 Please see our high-performance USB to serial adapters for newer operating systems.